A man has been seriously injured after an out of control elevator in Chile shot up 31 flights in 15 seconds and crashed into the roof. 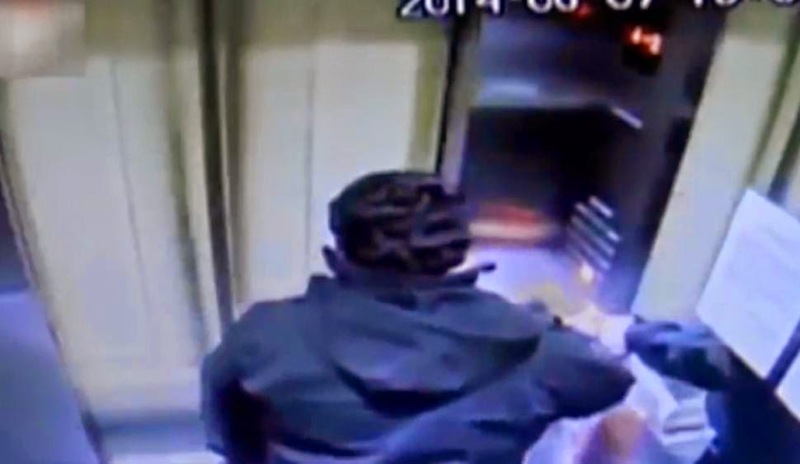 CCTV footage posted to YouTube, captures José Vergara Acevedo, 31, entering the lift in an unidentified building in Santiago last Friday evening. At first the doors close but then they reopen as the elevator starts hurtling upwards at high-speed, causing Mr Acevedo to frantically press buttons on the control panel. The final frame shows the surveillance camera being smashed into pieces as the lift comes to an abrupt halt. It is estimated the lift reached speeds of up to 80kmh. The Chilean newspaper, El Mercurio, reports that Mr Acevedo suffered head and leg injuries and was immediately rushed to hospital after being rescued by firefighters. 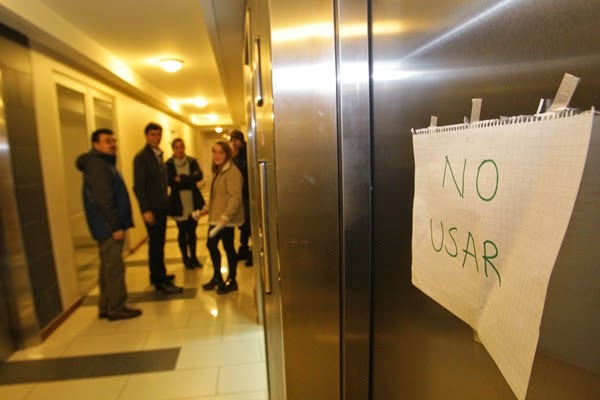 An investigation has been launched to determine the cause of the elevator malfunction. According to Chilean news sources, the elevator was inside a building that was finished eight months ago near Bustamante Park in Providencia. It is unclear if Mr Acevedo - who appears in the CCTV footage carrying shopping bags - was a resident of the complex or visitor. A time stamp on the film shows that the incident took place at around 7pm.